In this part, I will take a look at 100mm performance and something that arisen, during the test as an interesting topic for debate. 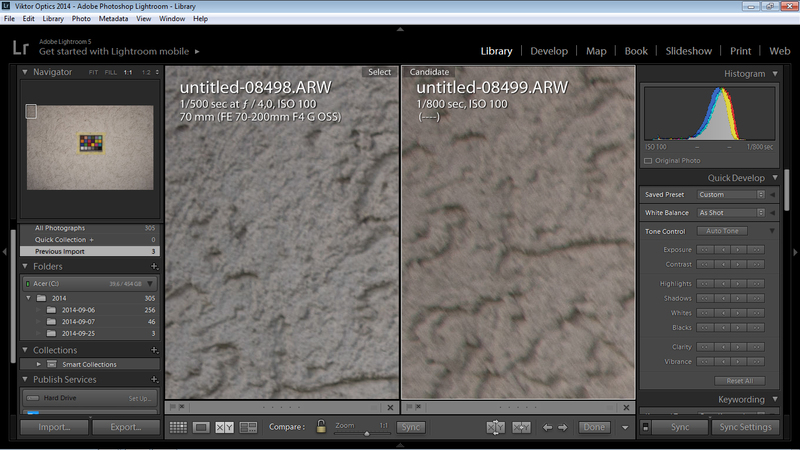 Canon looks sharper in the center at all apertures, but from f/8 difference is small. 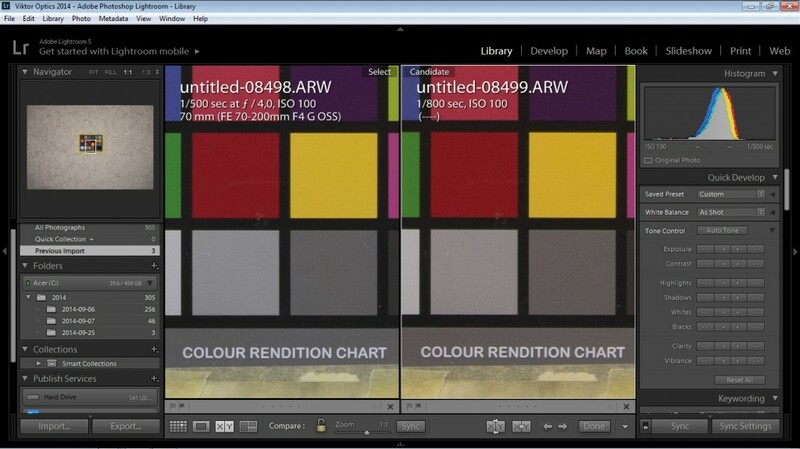 Similar like at 70mm, Canon pulls apart in the corners. 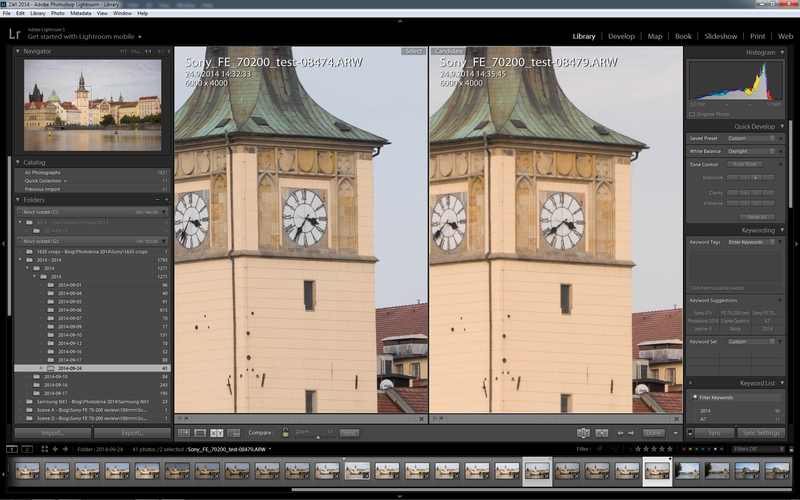 At 100mm however, Canon shows some weakness at right bottom corner, while Sony perform better than in top left. 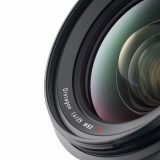 Reasons for those small differences in corner performance of each lens, might lay in the Metabones adapter or/and potential lens decentering. But I am not really worried either way, because I don’t plan to use any of those lenses for close flat targets. There are better tools for that. 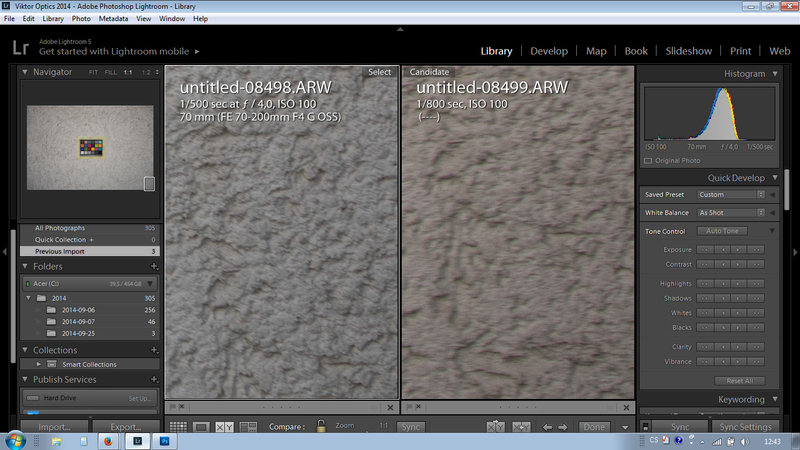 Bellows are 100% comparisons within LR 5.6. In the related Lightroom window, you can follow which lens is where (Sony on the left, Canon on the right. 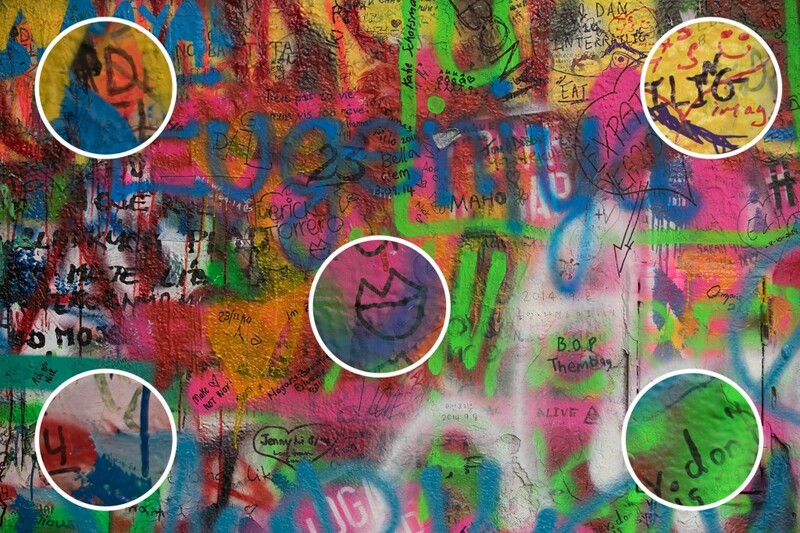 In the small window on the left, you can see small white rectangle, showing where the crops were taken from. Well… this looks odd, doesn’t it? 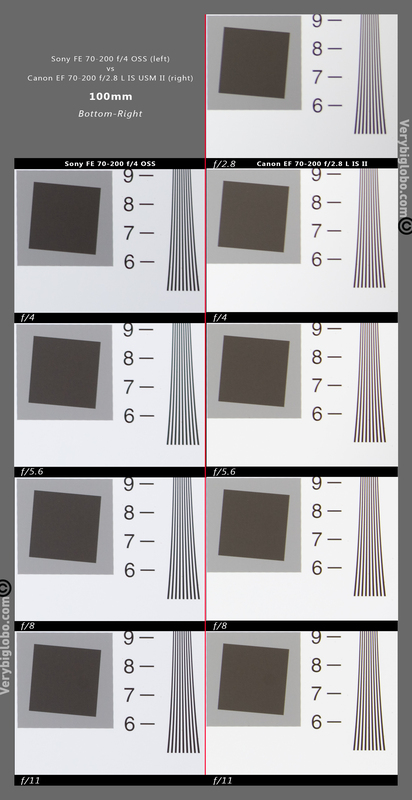 I mean, in the ISO 12333 charts, Canon was better in the corners, at 2,.5 m distance, they were almost same, but here, Sony is clearly better. Miles ahead 🙂 What’s going on here? First, it is known fact that each lens is optimized (peak performance) only at one focus distance. 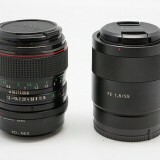 At different focus distance, lens can have inferior optical performance. This is more noticeable at wide open apertures. 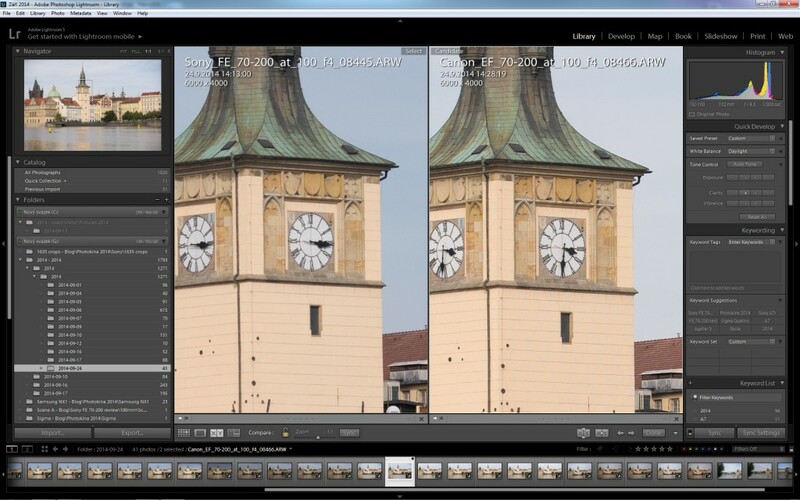 I discussed this with Mr. Hubert Nasse from Zeiss, and he noticed one lens as example – Old Sigma 50 f/1.4 EX DG. 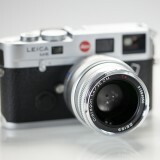 Lens got very good marks from respected review sites, but users were vastly disappointed in a field. (Not that lens was bad, but they expected brilliant performance due to the MTFs). With zoom lens, this issue can be even more pronounced, due to variable magnification. You might want to keep this on mind, when you evaluate your favorite reviewer IMATEST based results. Second, it is also known fact that digital cameras has obstructive plates in the path between lens and sensor. Those optical obstacles are known as sensor glass protection, or sensor toppings. Usually there are several layers from protective to IR eliminating, AA filter etc. When lens is designed for particular system, those optical obstacles are taken into consideration and corrected with counter effect corrective optics. 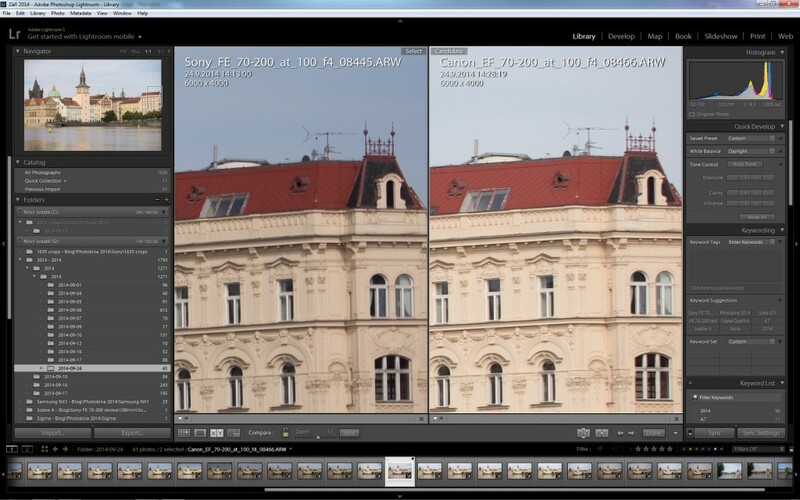 In short – Sony native lens counts with 2.05mm thick protective glass in Sony A7, while Canon lens have different corrections. I am not sure, why this will manifest more at longer distances than short one though. I have a theory, but It needs more calculation. 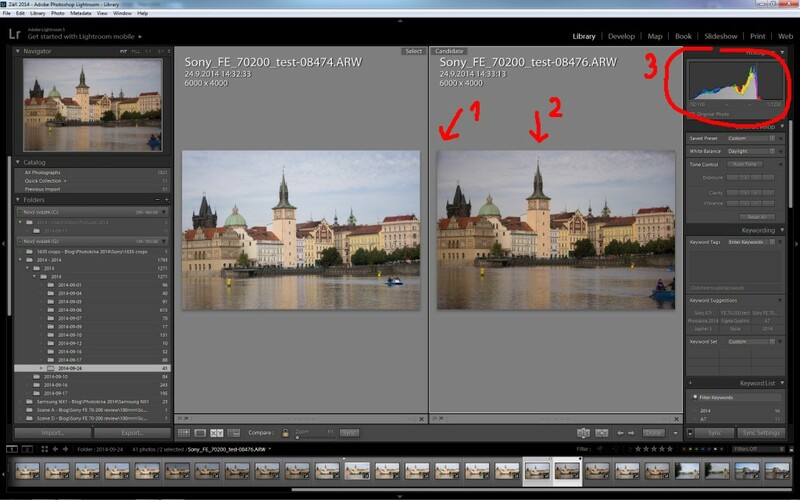 Third, Sony does provide lens software corrections and they are part of the lens design from the very beginning. I am not talking about selectable in camera lens corrections, such as distortion or CA, but about those hidden, that are hard coded in RAW. From time to time, when I mention this somewhere at forum, I usually get attacked by fan-boys, but then there are also replies like – “Who cares, software or hardware, if it works it’s all good for me!” I find the later, to be much more useful than denying this fact. As I learned recently, Canon does the same, m4/3 duo actually invented it I think, and Leica would have big problems without it. Should we care if it works? 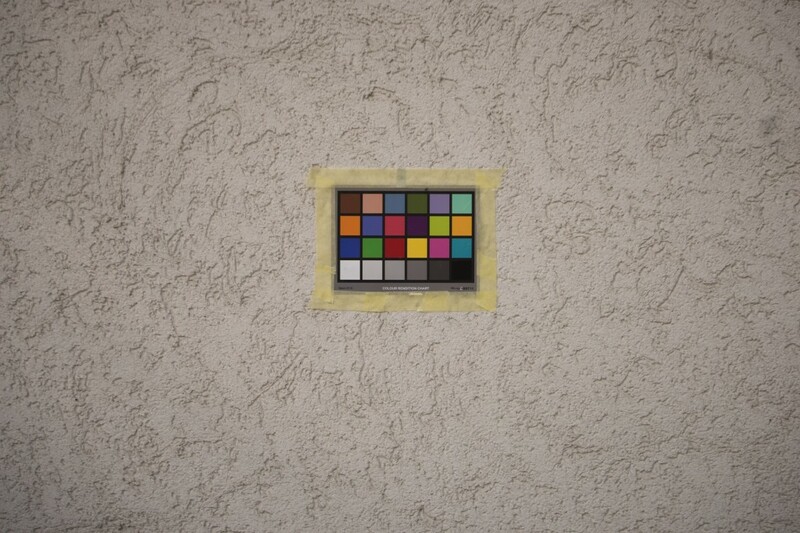 I would say – not at all… unless it starts to cost too much at other IQ aspects, such as corner resolution e.g. But where it matter most are all recent comparative methods, trying to find the best possible way to compare lenses from different systems directly. 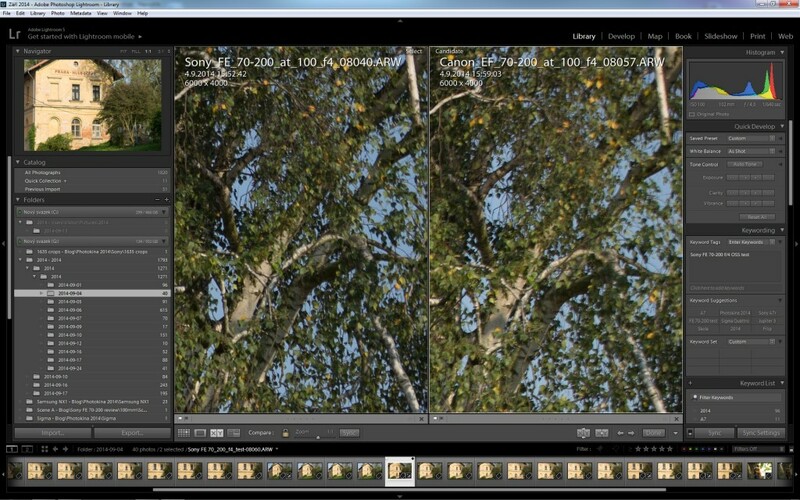 Well, I dare to say, that all such efforts like different lens scoring etc. 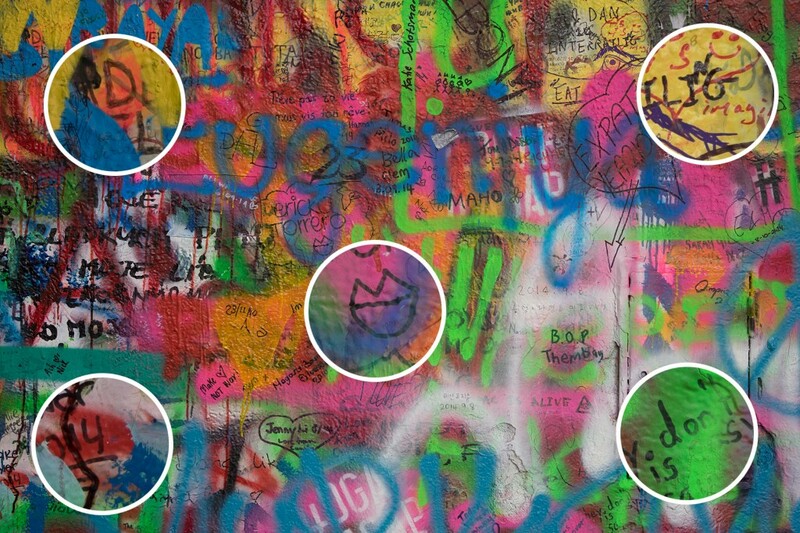 are pure nonsense in the age of software corrected images. 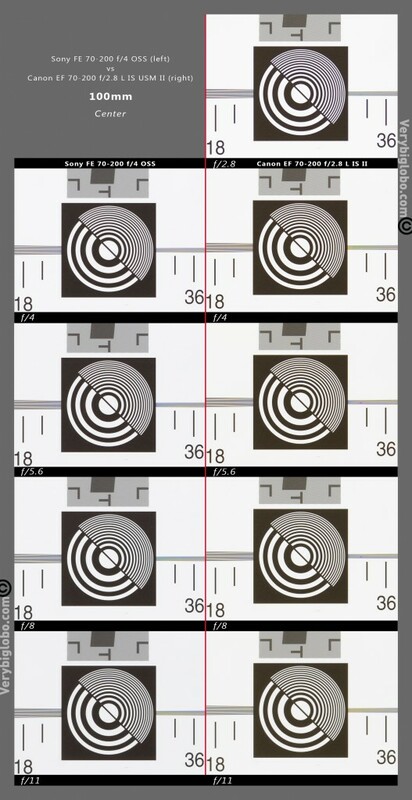 Left image is with a normally mounted lens, while right image is with “disconnected” lens. 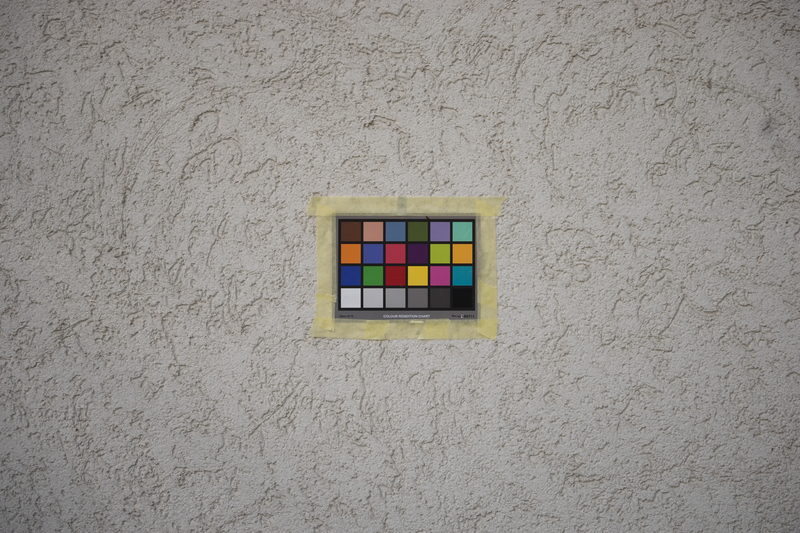 First what you can notice is increased vignetting in the corners (1). Immediately after connection is lost, image will jump upward. It might be OSS parking, but it was switched off, so I don’t know why this happen (2). Finally notice significantly different exposure reading – 1 full stop (3). But there are other problems. As soon as I disconnected lens, focus started to move off. It took it a while, but not too long to end completely off. Because focus is electronically coupled, you can’t do much about it, unless you start to play with the contacts, trying to cover all but power supply, but I didn’t went that far. For the purpose of showing how different performance is with the lens on and off, I made a very fast snap after disconnection and it should suffice to make the point. In the crops, you will see different shot than above (you’ll see it has different number), but that’s because I rapidly compensated for that upward bump. Otherwise it is a same shot. 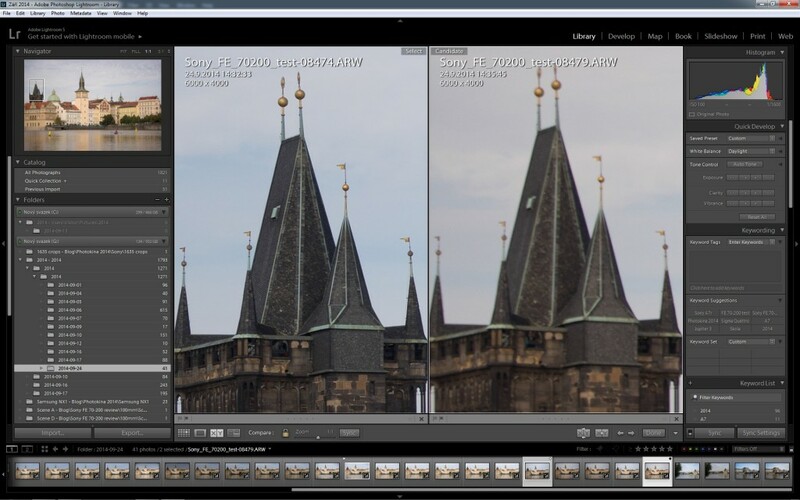 After long discussion on DPreview forum, many hours of thinking and re-testing, I think that there is explanation for the above results much simpler than software correction. 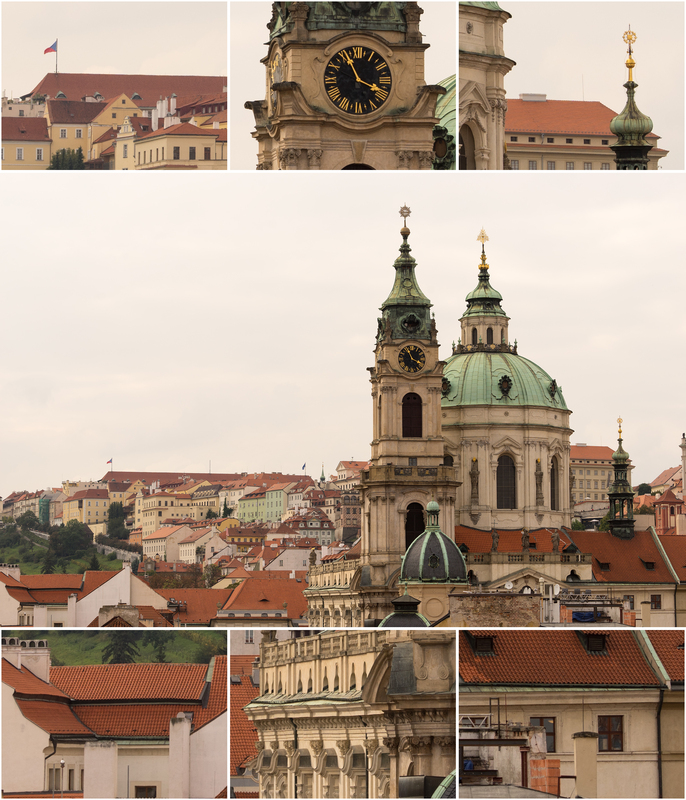 Take a look at following set of shots. There were some so called experts on the forum, who kept arguing that when lens is not in a lock position, test is invalid. They never tried it by themselves, but they will tell you what you should do. One of them even proposed to use JPEG instead of RAW to see if there are corrections applied to raw 🙂 and to test FF lens on APS-C camera. To make those “experts” happy, I blinded contacts this time, keeping lens fully locked while finding the way to preserve focus. Now let’s look at comparison images. Center (check the focus. Lens normally mounted left, without connection-right). There were also many helpful responses in the thread and few of posters mentioned OSS as a possible cause of this phenomenon. Thinking more about it, it sounds just about right. 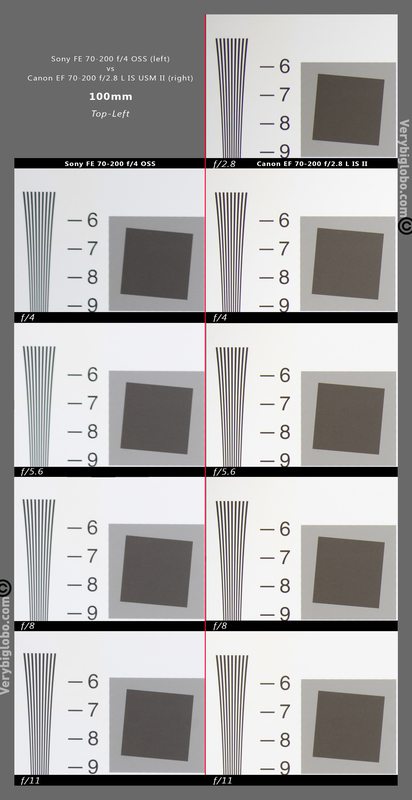 What we can see here is not the amount of the software corrections (not that some of them are not applied in RAW, but certainly not to this extent), but the effect of optical stabilization elements being moved off the optical path. When lens is powered on (connected to the camera) OSS gets in something like stand-by mode, moving related elements to the position from where it will start stabilization if switched on. But when lens is taken off the camera, OSS parks the lements out of the optical path, causing image to “jump” in the EVF/LCD and significantly changing optical path. As a result we can see, clearly inferior IQ, especially in the corners. 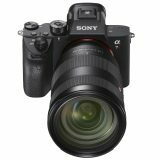 What all this means for my conclusion about Sony FE 70-200 f/4 G OSS? 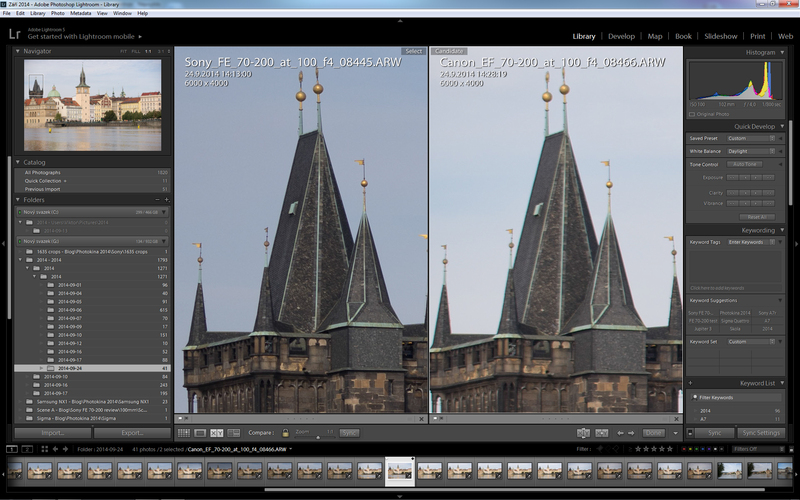 I think that Sony properly calibrated lens for the peak performance at longer distances. Looking at all images that I took so far, where it matters, Sony delivers great image quality. It shouldn’t be directly compared with any other third party lens, because as you can see above, such comparisons are seriously compromised and irrelevant. That doesn’t mean, that Canon shouldn’t be used on Sony, or that it will be inferior. First, it’s a full stop faster, second, it always has sharper center of the frame than Sony, third, you’ll hardly need extreme corner sharpness wide open with this type of lenses, third, you can use quality Canon tele-converters, increasing FL to 280 or 400mm. 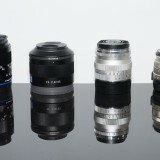 Sony is still to offer those for FE lenses. In other words, if you have Canon, you’ll be happy, if you don’t, Sony will be cheaper, much lighter, smaller and overall better option. 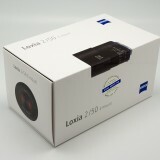 For me Sony will be great landscape lens. For fast action I have different cameras and lenses, but for landscape it is just perfect. 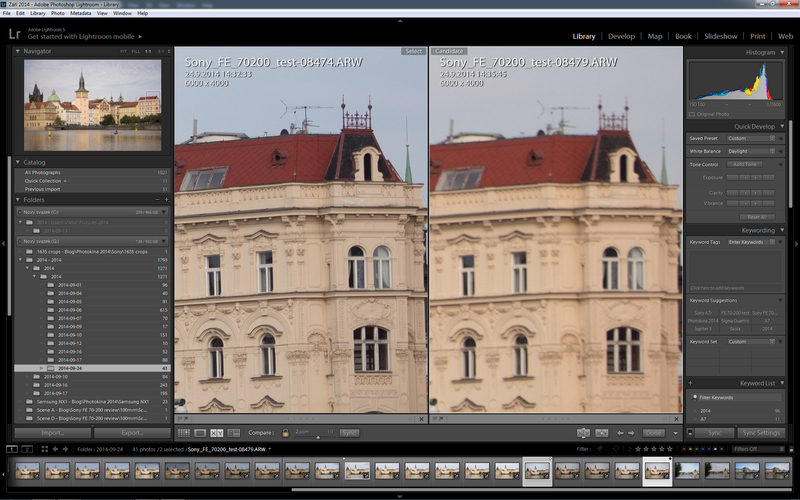 Here is another test shot at f/8, illustrating even sharpness across the frame. Sony FE 70-200 f/4 G OSS. 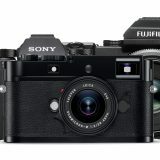 Camera Sony A7. 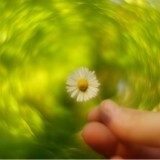 Focus close to infinity. Above and bellow are respective 100% crops. No pp sharpening except standard settings in Lightroom 5.6. f/8, ISO 100, FL approx. 100mm. 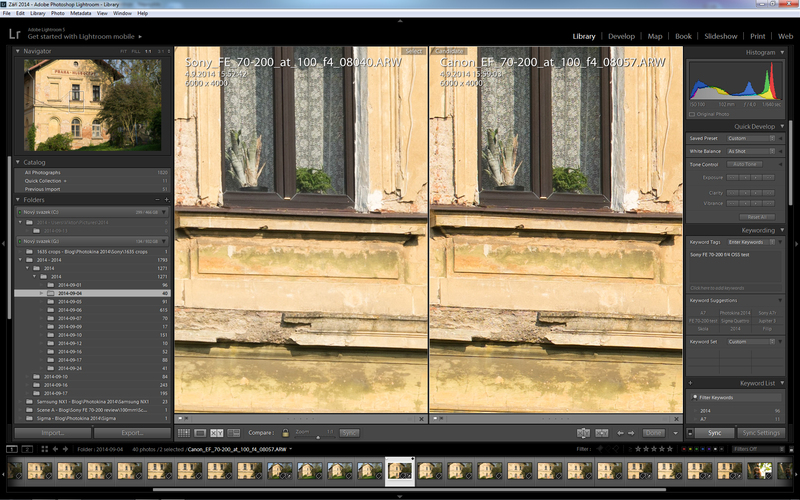 And distortion check at 100mm – very slight pincushion. In the next part, I’ll take a look at the 200mm, and flare resistance. 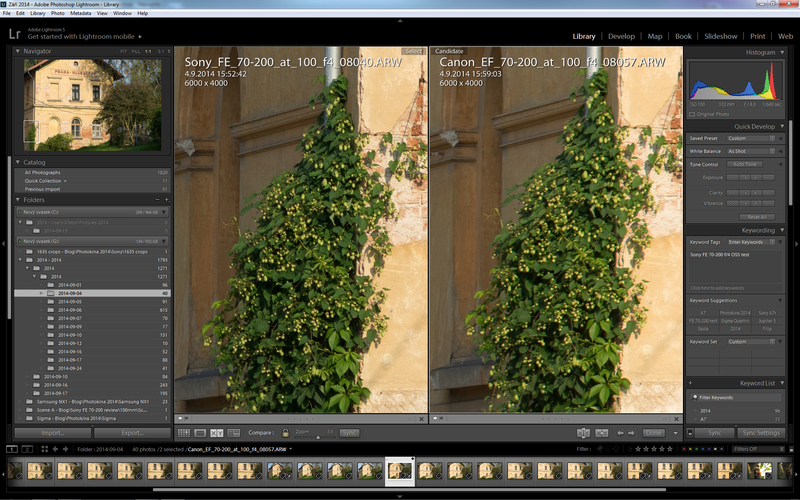 But there will be more tests to come – comparison between it and SEL 55-210 on A6000 and some AF tests. Stay tuned and thanks for reading and support. 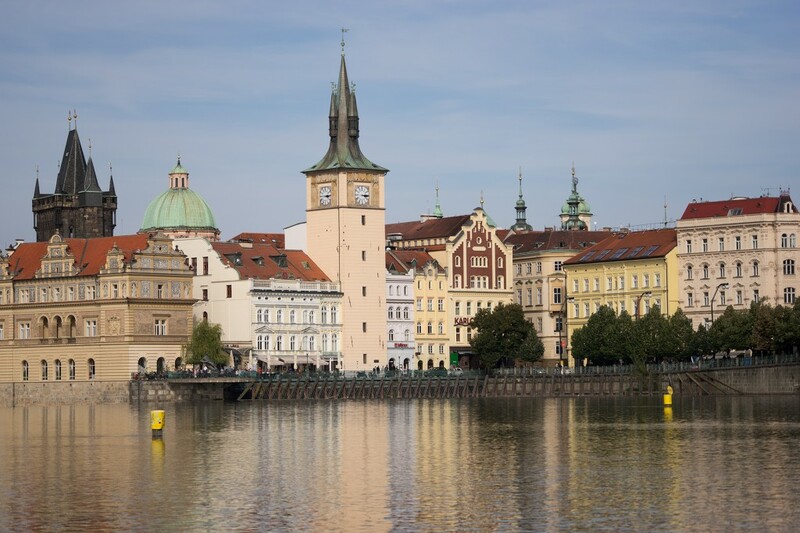 If you like this article, please share the link. 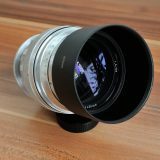 this is an excellent test, for sure the best and most useful I’ve read so far about this lens. I’ve added you in my RSS aggregator. I don’t think Sony can apply lots of sharpness corrections in pre-RAW phase, but they could do for what concerns CA and vignetting. Thanks for a lot of work. 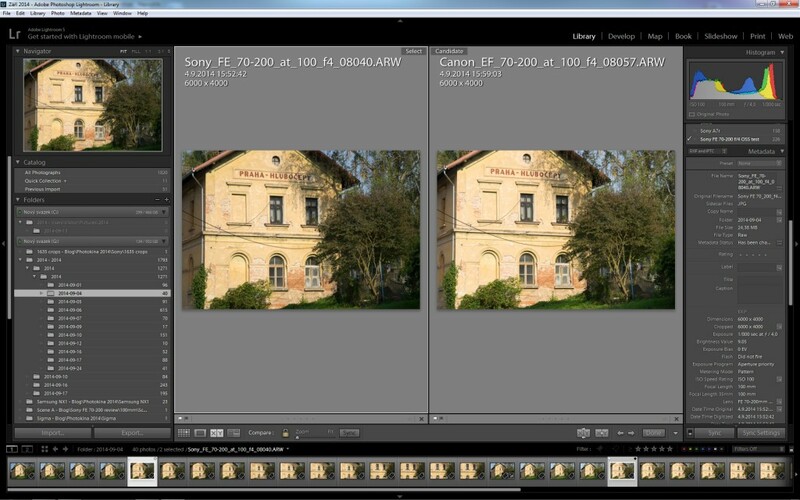 Is there a reason you did not compare it directly to the Canon EF 70-200mm f/4L with IS? It would have been interesting since they are closer in price, design, size and weight. Thanks Steve. 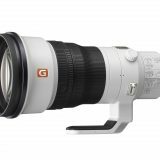 The only reason is that I don’t have it or any other 70-200 f/4. But I took Canon f/2.8 II rather as a reference lens because it is probably sharpest lens of its kind on the market. I find this review the best I have read. 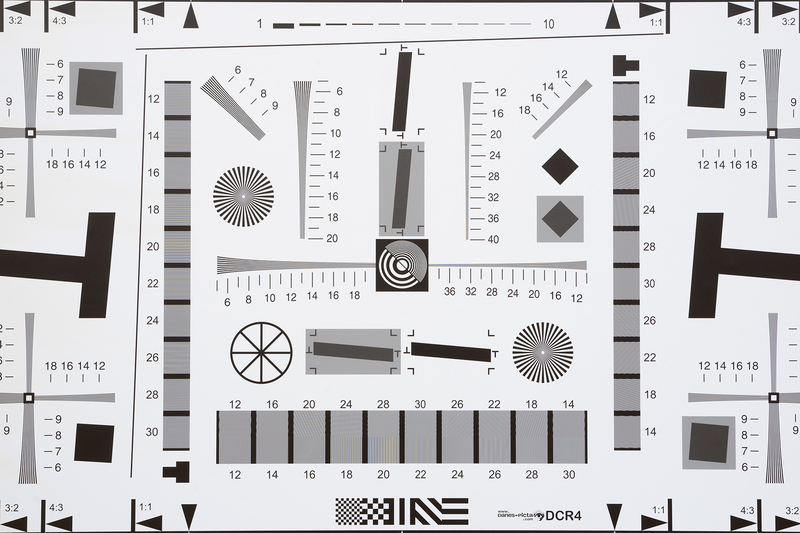 It points out the flaw in using high contrast test charts which are good for taking pictures of high contrast test charts. I like using the grfity as a test object. Thanx Jerry, glad you liked it.